Making his debut with Dunfermline Athletic in 1991, Jackie enjoyed a playing career which spanned 20 years, playing with the Pars, Celtic, Wolves, Aberdeen, Falkirk and Partick Thistle, before becoming manager of the Jags in 2011. 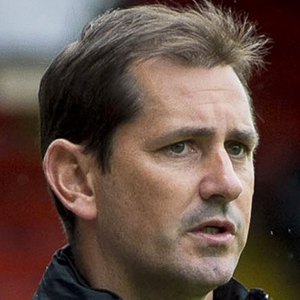 Alongside assistant Simon Donnelly, Jackie quickly took Partick to the top of the First Division before leaving Firhill to succeed Peter Houston as the United manager in January 2013, agreeing a three year deal. Within a few months, he was able to steer United back into the Top 6 to finish the end of the season. The following season, he took United to fourth place in the new SPFL Premiership and reached the Scottish Cup Final, finishing runners-up to St Johnstone. On 24 February that season, the Club announced that Jackie had signed a one-year contract extension effective until May 2017. The following season, a rich vein of form saw Jackie's United start the 2014/15 as championship contenders, sitting top of the Premiership table after nine games, however an equally bad downturn in results was to follow, along with the sale of key players Stuart Armstrong and Gary Mackay-Steven during the January transfer window. Despite squad re-investment, form did not improve and United eventually finished the season in 6th place. The following season, Jackie managed just one win in his first nine games - United's worst start since 2000 - and at the end of September, a mutual agreement was made between the manager and United to end his contract. Upon his leaving, assistant Simon Donnelly, coach Darren Jackson and goalkeeping coach Craig Hinchcliffe also departed Tannadice.